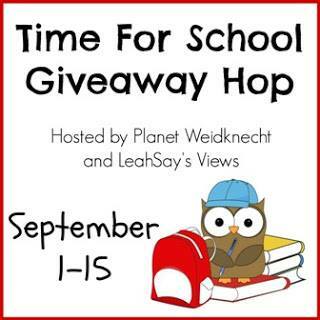 Welcome to the TIME FOR SCHOOL Giveaway Hop. Our amazing hosts are Planet Weidknecht and LeahSay's Views. There are many blogs with Prizes and a few Gift Cards to be won as usual. There are no limits to the amount of prizes you can win so Hop, Hop, Hop! 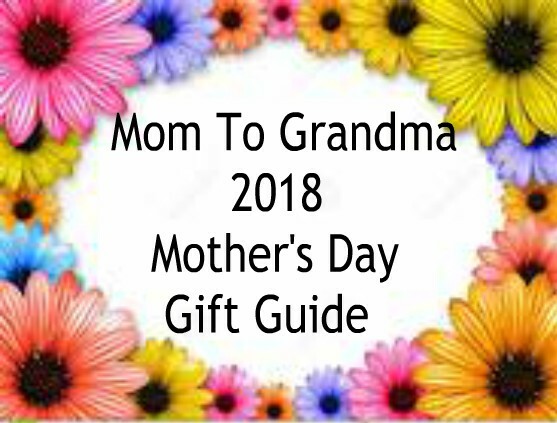 Mom To Grandma's prize is a $25. Wal-mart Gift Card for your last minute supplies or anything you need actually. Must be 18, open WW. Winner must return winning e-mail within 48 hours or forfeit. Please give the RC a moment to load. Good Luck All! Disclaimer: No social media is associated with this giveaway. Always expect to wait 8 weeks for your prize before contacting us. At that time we will be glad to check into it for you. My highlight of this summer was helping my daughter plan their wedding for this fall. I love games, toys, ladies things like make up, clothes, jewelry and just about anything. I also would like some men things and pet stuff. The summer.... well, no disasters happened, so I guess that's good. LOL Otherwise, nothing happened - no vacations or anything. As for the holiday guide... have no idea, but hey, everyone eats, and most people do like desserts, so something goodie related is always good (cookies, brownies, etc.). the highlight of my summer was visiting Disneyland with my family. It was fun! I absolutely loved visiting Disney Land. I think it's about time again. The highlight of our summer was going to Disneyworld for my daughter's 11th birthday. I surprised her with lunch at Cinderella Castle that day. I bet she was thrilled! I was also there for my 11th birthday. I still have some sweet memories. The highlight of my summer was getting to go camping with the Family in July. We had such a good time swimming, camping and cooking over the campfire. Our entire family enjoys camping. My parents have passed now and new grandchildren have taken over their love for the great outdoors. I would love to see a Coffee maker giveaway, Pressure cooker giveaway, Gift Cards, shoes. The highlight of my summer was our family beach vacation! The biggest highlight was riding a jet ski with my grandson. We even saw a few dolphins! I would love to see the Zoomer Dino on your gift guide list this year. I would love it if you featured fitness gadgets and laptops on your holiday gift guide. The highlight of my summer was finding out the gender of my brother's baby. I found out that I will be an aunt to a niece! They are due on Thanksgiving day this year. A new little one sounds fun! My son and daughter in law are due in February. I loved building a chicken coop. It took forever, but was worth it. There is just something so special about building something yourself. I'd love to see kitchen items in the guide! There will be some for sure. One can never get enough romance mixed with fun, glad you enjoyed. Good Luck with your license and drive safely! I would like to see candles in your gift guide. We went to Arizona to visit my daughter and our new granddaughter. We had such a fun time. Also visited Tombstone. I didn't do too much this Summer. I spent a lot of time with my grandsons at the lake and the park. The hilight of our summer was our trip to Mexico. We spent a lot of time on the beach and visited Chichen Itza. My highlight was a couple of getaways we enjoyed this year. One involved a boat ride, the other was in a Jeep. The highlight of my summer was going to Los Angeles to film a segment on the Hallmark channel. The highlight of my summer was seeing my family on the Fourth of July. Although we don't live far from each other, we don't get together nearly enough. 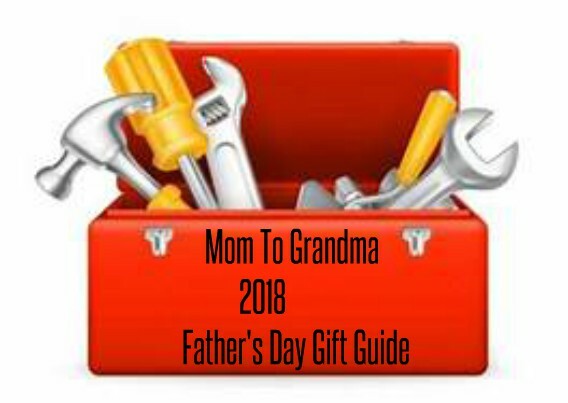 I'd like to see some ideas for men...I never know what to get for my husband and dad. I also like to buy personal items like candles, handmade soaps and lotions. The highlight of my summer was the birth of my granddaughter. She's my forth granddaughter, no grandson yet, maybe one of these days. We've had quite a busy summer before our only left for college, 6 hours away! We headed to Florida for hubby's HS reunion and then over to Orlando for a few days as a family vacation at both Universal Parks. VERY hot but a great time! In your Christmas Guide, I'd love to see some handmade/Etsy products. I love purchasing from others to support their business and it makes the items more unique than store bought! My highlight of this summer was going to a family picnic. Also, watching my grandson play baseball. My grandkids came up for a few days. We played in the pool, went to the park, read. My grandson rode the four-wheeler. It was a great time. I would like to see more reviews of the items. It would be nice to see video games that are appropriate for different ages. The highlight of my summer is spending time with my grandson. He brings my hubby and I so much joy. I would like to see what is hot for toddlers age 3-4 for boys in the way of toys. I would also like to see some educational products for this age group as well. We didn't do much, mostly hung out in the pool. The most exciting thing was taking our truck to the track to race. The highlight of our summer was driving to Birmingham for my nephew's wedding. It was at the botanical gardens and it was beautiful. The highlight of my summer was a camping trip to the Boundary Waters in MN. We had the best time possible! My kids and I went to my dad's where he has 40 acres and we camped out and rode his many ride on's. It was great! I have 5 kids so anything for teens or younger such as toys, clothing, etc. The highlight of my summer was spending a week with my mom. Due to an illness, she was not able to go out of town, so we had a staycation filled with shopping and eating out. I would like to see recommendations for tablets, laptops, and gifts for men. The highlight of my summer was watching my youngest child learn to crawl. Now I'm just waiting for her to start walking. On the holiday gift guide I'd like to see American Girl dolls and Step2 playhouses. My boyfriend and I attended the Cleveland Browns' scrimmage game held at THE Ohio State Buckeyes football stadium. So much fun. On the gift guide I would like to see some decorative lighting. I think the highlight was going to the beach with my family. we had so much fun playing and laughing together. My highlight of the summer was going to the strong museum of play in rochester, NY. I would like to see electronics, coloring books, adult coloring books, crayons, art supplies and Nintendo Video games. For us it was raising monarchs this summer! We have now released 142! After the next three weeks...we will be over 200. Was so enjoyable watching them grow, spin their chrysalis, and emerge a beautiful monarch! Loved watching them soar when released! Ugh. Absolutely nothing! It's really been a horrible summer. Lost family members, anniversaries of pets death... way too damn hot to function. Just horrible! The highlight of my summer was going to visit our new great grandson. He was so cute. The highlight of my summer was my first grandchild being born. I couldn't wish for anything better than that. I would like to see toys, gifts for men, photography gifts and something for teenagers. The highlight of our summer was having our relatives come and visit us. We only see each other once or twice a year so it was really fun. Summer was a busy and stressful time with packing and moving to a new city to transition to a new job. I liked how I got to help my kids try new sports like softball and baseball. I also liked them taking swimming lessons. Thanks for the chance to enter. I would love to see different food gadgets that help in the kitchen. Thanks for the chance to enter. The highlight of my summer was my granddaughter came to live with me for the whole summer, and when she graduates she is coming back to stay. We planted a vegetable garden together. Also, I've been teaching her how to drive and when she graduates hubby and I are giving her hubby's old car. She's so happy! I can hardly wait until she stays for good. I would like to see new nightgowns and jewelry and things for the hubby. I was recuperating from surgery so I didn't get out much, but I suppose the highlight of my summer is when I was able to get out of my wheelchair and convert to the walker. A cane will be next hopefully. I would like to see clothes, electronics and perhaps some things to pamper women. My highlight was watching my nephew get his Eagle Scout badge at his ceremony. I don't think the whole family has cried at once in a long time. Very memorable, and he worked so hard. The highlight of our summer was our inlaws visiting and we took a road trip from NC to Florida. We visited Universal Studios Orlando and had a great time! I would love to see toys, skylander toys on the Gift guide. I also love to see electronics and tech equipment like bluetooth speaker and such. The highlight of my summer was spending a week off with my daughter. We did a lot of fun stuff together and she wore me out. I would love to see some fun new kitchen gadgets and beauty items in the gift guide. I need ideas for co-workers and friends. The highlight of my summer was taking a trip to NYC! It was the first vacation that I've taken in years and I've always wanted to see the city! I enjoyed a trip to Florida with my husband and his family. My husband and I's friends from Ohio came in to our state to visit us. Got to spend a lot of time with my brother before he went off to grad school. I don't have much going on this summer. We have been workung on the homestead mainly and taking Bible classes with a friend. 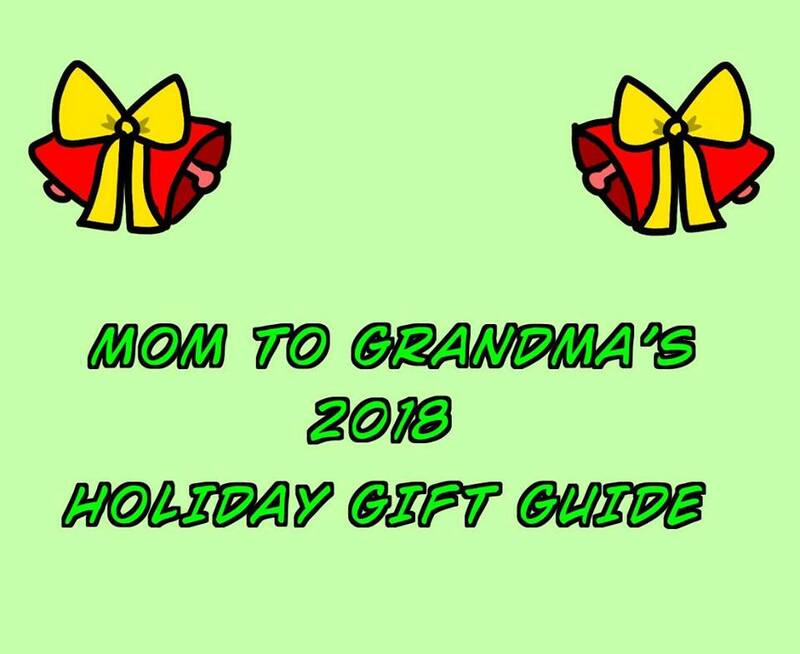 I can't wait to see the holiday gift guide! I would love some books, kitchen gadgets, and some craft items in the holiday guide! My highlight was a 4 day trip to Santa Fe for the opera. Good weather & good friends. I'd like to see some neat kitchen gadgets. My daughter and I went camping, lots of swimming, and the playground. We also went to cedar point a few times! My youngest son attended his first semester of College this summer. He has been homeschooled his entire life and it was quite the experience for he and for me. The highlight was when he got his grades and was given a 4.0 GPA and accepted into the Honor Society Fraternity on campus. 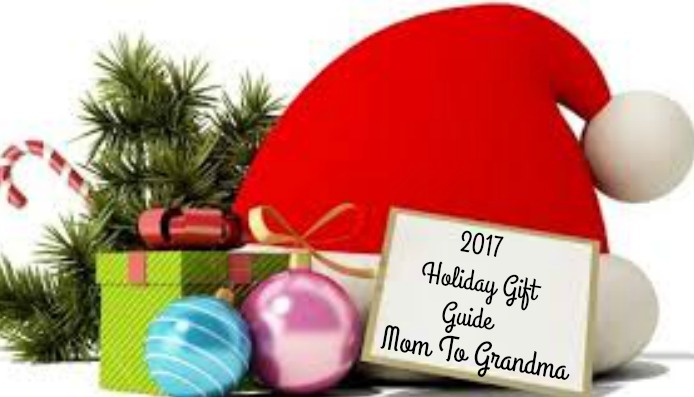 For the Holiday Gift guide, I'd love to see reviews of gift ideas for preschool aged boys, learning toys, gifts for dads and grandpas. The highlight of my summer was going camping with my grandkids. They love to camp as much as we do. My highlight was actually right before summer. Got married on Pass A Grille Beach in Florida in May. It was a beautiful wedding and trip. I would love to see affordable laptops, facial and skin care items, and bath and body items as well. Gift cards because they make life easier! I would love to see quality kitchen knives & pots & pans in the Holiday gift guide! The highlight of my summer was taking a trip with my family to Eureka Springs, Arkansas! It was great to get away together! The highlight of my summer was going to Disneyland with my family. We had a lot of fun. The highlight of my summer was being on vacation for two weeks. My whole family got together twice for my birthday. Some cool tech gadgets for Christmas would be a great idea. I guess it's over, huh? It wasn't that great, to be honest. I had a difficult summer with few nice moments. I can't recall any event that was really good. Maybe just one of the times I got more sleep than usual. Sorry I don't have anything to really answer the question with! To be honest the highlight of my summer was my little girl (she's not little-she's 15) coming out of her shell. She started having friends over galore and going over to their houses. It seemed like I was always feeding a "work crew" who couldn't be filled up. I loved every minute of it. Now it's football season and she is having my husband get tickets to the the college's football team (he works at the college). Now, they are all going to ASU ballgames. I'm very happy for her! The highlight of my Summer was the cruise that our family took. We went on cruise to the Caribbean and had so much fun. my family and i traveled to oregon, from the east coast, back in july, for my sister in law' wedding. what a gorgeous setting to be married in! Oh I would love to see some personalized ornaments! We love to get these every year! Also, family board games! 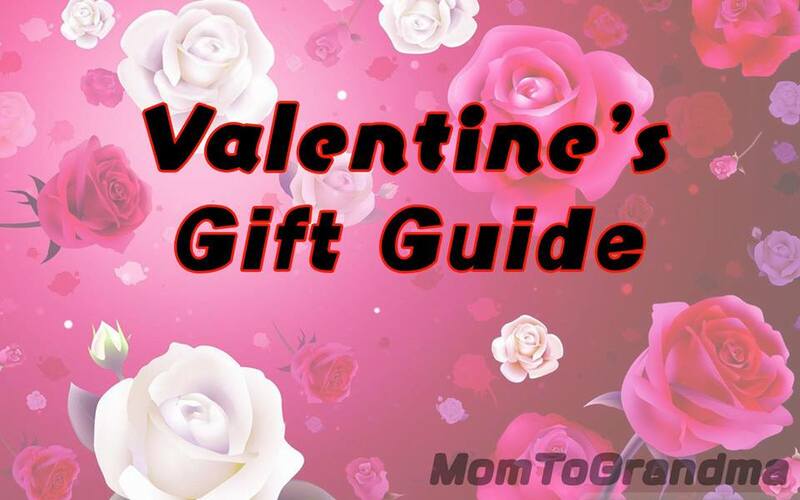 I would love to see kids items and gifts for my hubby on your Holiday Guide! The highlight of my summer was lots of trips to our local water parks and weekday to trips to the Disney parks with our annual passes. We enjoyed tons of first time meet and greets with new characters as well as first time riding in the front row of some of our favorite thrill rides. My highlight was taking my daughter on her first fishing trip. She loved it; just as I did when I was her age. We spent the day walking the creeks and casting. We're looking forward to going again soon. I had a pretty great summer, but one of the highlights was the at the begging of July. On Saturday 7/2, we took two of our friends out on our boat scalloping, and it was their first time scalloping and we had a really nice catch. Then on Monday 7/4, we took out three other friends that had never been scalloping and caught even more! It was just nice being out on the boat with good friends, and being able to cook them a nice meal when we got back to our house. The highlight of my summer was redoing the front yard to make it a butterfly garden for Monarchs and other butterflies and Hummingbirds too. We are enjoying it now with all the beautiful flowers everyday! I would love to see prizes for the kitchen coffee etc. 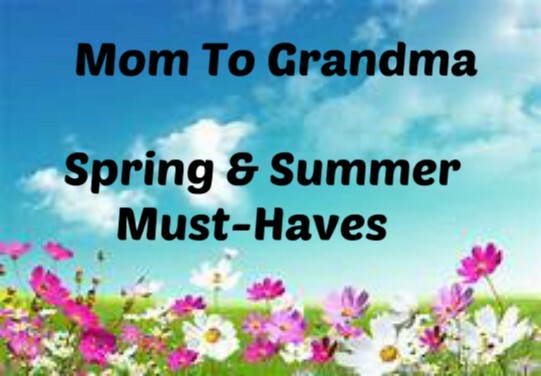 I also like items for moms handbags etc too. The highlight of my summer was going to my grandson's violin concert in June. The highlight of my summer was a one week visit from my son, daughter-in-law and grandson. We got to take my grandson whale watching and to the aquarium. The highlight of my summer was when my niece and her husband came down to see me. They helped me clean out two storage units and move the stuff to a new place closer to my home :) That was one of my goals for the year and they helped me complete it!! The highlight of the summer was a trip to Florida in May, we went to Daytona Beach for a concert, hang out, then we went to Saint Augustine and explored around. It was so nice! I would lvoe to see skin care products, make up, clothes, shoes, and kitchenware. during our family camping trip, It was just wonderful, to see them and to hang out with one another. I am hoping a piano, maybe a laptop, gift cards, winter coats and boots would be nice also.. I would have to say the highlight of my summer was nothing! I stayed home , had a tooth pulled, entered a lot of contests and checked my email everyday. that was my summer. I got to spend time with my mother because she had a major surgery. I was with her four days and the time with her was great. I would like to see visa gift cards and gift baskets. The highlights of my summer was the birth of my niece's new baby boy and my son coming home for a visit from college. The highlight of my summer was spending time with my extended family I haven't seen in a while. It was so great spending time with them and catching up! Plus I got to meet some new babies I hadn't met before. I would like to see some jewelry on the gift guide. The highlight of our summer would include geocaching. We started in May and were able to do 250 caches in just a few months. We got to get outside and find a lot of neat places located nearby! Mine was bringing my kids to go see there grandparents in upstate ny. They had a great time and so did I. My mom and I went on a girls' weekend to Raleigh. We saw a beautiful art exhibit of Childe Hassam's impressionist paintings, done in the Isle of Shoals, Maine. The highlight of my summer was the trip mu wife and daughter took to London. They had so much fun. I would like to see a turntable. I have two highlights really. A fantastic vacation trip that included a conference, visits with family, and lots of music. And a day trip to the beach where our littlest got out on a boogie board (with us, still too little to loose solo) for the first time. It was a lovely summer! This summer, we played a lot with our one year old grandson. We started a vegetable garden that produced some good potatoes and peppers. I would love to see scented candles and household items! My fav part of summer was having girls nights with my kids. We watched movies and snuggled. Its simple but I love it. My highlight of the Summer was getting together with family, especially Mom and Dad! The highlight of my summer was learning about geocaching. It's become a regular hobby in our house now! I would love to see kitchen gadgets and tools on the holiday gift guide. The best part of my summer was probably seeing Reba live in concert. I brought my sister for her birthday and I'd never seen her, so it was great. I was able to take a lot of nature photos and do some swimming at the pool over the majority of the summer this year. I like to see some electronic items and gadgets in the Holiday Guide every year. I can take hours looking through new stuff to get for the holidays. One of the best and most healthy decisions that I made-- and followed through on-- was finally ending an unhealthy relationship. I'd left this person twice already, in the past, but he and I just kept getting back together... like toxic magnets. I feel more free, now. There are times when I miss his company, but it was absolutely the right thing to do. 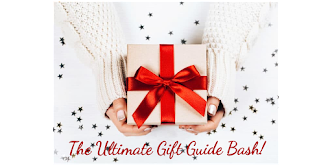 The Gift Guide-- what a great idea! I'm looking forward to seeing it. - Including some low-cost options. I love DIY projects! - Gifts for pets, or for people who have pets. - Gifts that can be handmade with the help of children or other family members. - A few recipes that make for great gifts, and ideas/tips for presentation/packaging.